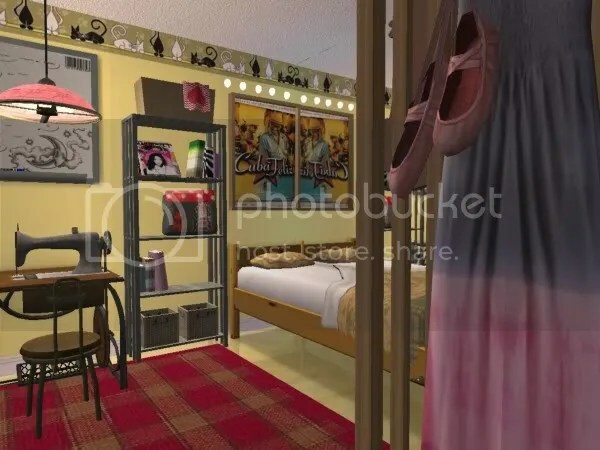 I designed a room I rented in Audrey Apartment for my character, Lindine Lao! 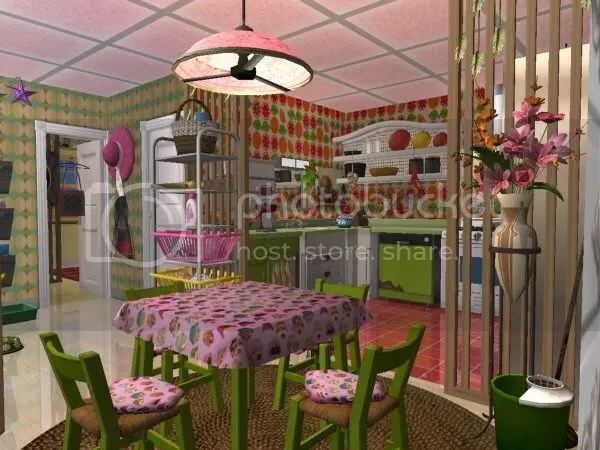 The theme is “Oriental Chic In Spring”, so the walls and floor colors are very feminine with green, red and pink colors being dominant. I put a modern chic wall mural at the dining area for a youthful ambiance, put sunflower themed painting & piano set, flower scratch post for her cat, chose wooden furnishings for some oriental look and added clutter scattered here and there to make it lively and less empty and boring.